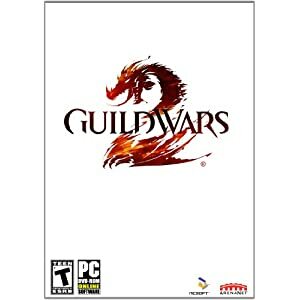 To start off I will say I HATED Guild Wars 1, so I wasn’t sure how I was going to take to Guild Wars 2. This time around Arena Net has changed enough to make it a real MMO experience and now I can honestly say that I love this game. From Beta until present it has kept my attention, that’s a good game. One of the things that makes this game special is the world, it really seems alive. Wolves will go out of their way to attack rabbits, and enemies of different origin will fight each other if they cross paths. Even NPC’s will call for your attention if you run by and they have a quest or a boss to kill in there nearby village or town. You may be running around and see things in the game that make you ask yourself “what the hell is that doing there?” Then you walk around the corner and go OOOHHHH…I love that about this game. For example, in the human starting area there is a picnic basket laid out with all of the food on the sheet and there’s a big bear standing out in front of it, if you don’t take the time to look around you may not catch this, but if you explore a little bit you’ll find that a person is hiding and scared nearby, and If you take care of the bear they’ll come out and thank you for helping. Sometimes these tasks reward you with xp, sometimes money and sometimes just a thank you, but these small things help bring the world to life. Going further into exploring your surroundings you’ll start to see little caves, and tunnels that will lead to wide open caverns, landscapes and even ancient ruins from Guild Wars 1. These hidden areas are for the most part, part of the jumping puzzles they have hidden around the world. They normally end with a chest with a random loot roll and a daily or monthly achievement. Sometimes you’ll even find an NPC you wouldn’t have found otherwise who sells unique looking weapon skins or other such items. Again just making the whole exploring aspect of this game even better than any other MMO, I’d even go as far as saying its on par with some single player games, sometimes even surpassing them. Dynamic Events: We saw this feature in Rift, the awesome idea of having events unfold in front of your very eyes. The OMG moments of humans being attacked by zombies, but the problem is that there too many times when nobody is there to fight the zombies back! So the NPC’s that you need to talk to or sell your items to are all dead! Good luck reviving them and getting yourself not killed by the 30 enemies swarming the area. This doesn’t happen often, but when it does it can really frustrate. Oversimplifying: I HATE this about the game. See, in the beta they had a system where you could spend all of your points in whatever stats you wanted. So if you wanted to be a sin with all toughness and HP you could spend all your points and be an assassin off tank. You could be a Warrior that just focused on Condition Damage so you’d be a more Meat shield/Dot class. They changed this freedom of choice because people complained it was too hard to understand. So they simplified it instead of making it easier to understand. Now you can be a tank who spends 1 point and gets Toughness and HP or you can spend 1 point and get condition damage and healing power, or armor and attack power. Now you can’t be that off tank that kills for thrills, you now fit a more streamlined character that the game preset for you if you go down this certain path. I HATE that they did this… they wanted to get rid of the holy trinity of MMO’s so much that they completely ruined the character customization. I find this funny, because in order to kill the Healer/DSP/Tank structure MMO’s have had, they made their own 3 preset builds…which is doing the SAME FREAKEN THING! Once you get over the idea that you can no longer build the unique class that you wanted to play as, the game is awesome, and if you’re new to the game and you never touched the pre beta stuff, then you wouldn’t have even known about the character set change, so this adjustment means little unless you had seen it before. After reaching a certain level requirement you can open up new skill points called traits. This feature is fun to play around with and is the new way of creating the character you most likely wanted to play, kind of. For every 5 points you put into a certain, let’s call them trees, you unlock a new ability. So if you’re playing a ranger class, your trees are Marksmanship, Skirmishing, Wilderness Survival, Nature Magic, and Beast Mastery. At end game you get a total of 70 trait points to slot as you please, you’ll get the first at level 11. Seventy trait points will let you go top tier in 2 of those trees and then to the middle of another, so you do have a lot of room to create something you really like. The first 5 trait points you spend you get a passive ability, so for instance if you spend your points into skirmishing your first 5 points will give you Tail Wind, which grants swiftness when swapping weapons in combat. At 10 points you get a passive skill, you get to pick from a short list of skills. So if you don’t want to take so much fall damage when jumping off cliffs most classes get a fall damage reduction ability. This continues until you spend exactly 30 points in a given tree and then you move on to another one. Now you don’t need to spend all the points in this one tree, you can if you want just spend 15 points in every tree, but keep in mind that most of the awesome passive skills are the higher ones. Also keep in mind that the trees also focus on 2 stats each, so if you’re going Skirmishing you’ll get extra crit and extra crit damage on your character. If you go Marksmanship you’ll get attack power and Condition duration (buffs) for your class. This is what I was talking about with making your own character, now if you want to become a Ranger who wants his pets to do more damage you have to go Beast Mastery but your 2 stats are Compassion (healing power, which pretty much does nothing for you in game because every 5 healing power you have you might get 1HP more on your heals, which means your stacking a lot to get that extra 1200 HP on your character that at max level has around 23K health.) Your other stat is Empathy which improves your pets attributes by a % which is awesome for your pet build, too bad your stuck with the healing power instead of let’s say, crit chance? The story lines created for each of the character classes are really good. The answers you pick to the questions the game asks you in the character creator will affect your story until you hit level 20 and they are all really fun to experience. Crafting in this game is fun as well. The idea that nobody can steal your kill or your loot or your crafting supplies in the world is awesome and it lets you go around the corner before you go back and collect that tin ore. I find myself running around finding Ore for my job skills and then seeing a dynamic event and going and helping out and just doubling back for the ore a lot of times, never having to fear that someone will steal the crafting node before I return. And if you’re like me and you’re out gathering supplies and you see a fellow player about to die you can stop what you’re doing and go help them out, then just go back to what you were doing and they don’t get frustrated at you for stealing their XP gain or taking their loot drops. Guild Wars 2 offers a ton of content, from underwater combat, hours of story, lots of classes, events, crafting, PVP, world vs world; I could go on. For $60 you are getting enough gameplay to last you a very long time. That said, there are odd things missing from other MMO’s such as slots for cosmetic gear, or the lack of character inspection. Small things that i’m sure will be added later, but still strange. For right now I’m giving this game an 8.5, it has some flaws but it’s an MMO, they will always start off really good and just get better once the developers start listening to what the people want to see or want to change. I would give this game a 9.0 but with the change to your character skill spending and dumbing down how you wanted to play YOUR build I just can’t do it. I understand you don’t want the holy trinity but instead of killing our choices why not change the powers of the necromancer before the game came out, don’t make the water mage focus on healing skills so that when we get into the game we can’t just go straight healing power and become a “true healer”. Make the warrior focus more on DOT and offense than hiding behind a shield and negating damage and out healing any incoming DPS. Great! I found it to be a fun game, especially the way you gain exp from doing many different things. They really seemed to have understood what “experience” really meant. Two nit-picks I have, that grow with time, are: reduction of conflict and end-game content. While reduction in competition does make players more likely to help each other, it reduces conflict and tension. It makes the grind a bit grindier, and I just don’t get the same thrill when I see a resource node and someone else is diving for it, too. Secondly, I have an issue with the end-game content they provide. I hate to compare them to WoW, but the Holy Trinity did provide for some really interesting boss-content through their mechanics. 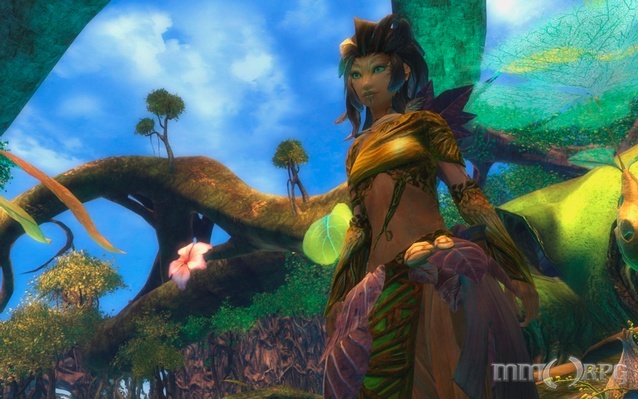 I just haven’t seen the same level of depth or design out of Guild Wars 2. Then again, it took WoW a while to hit their stride with confidence, so we’ll see.